NORTH EAST TEXAS REAL ESTATE Are you ready for the adventure? If you viewed my video you can see that I am passionate about North East Texas! The terrain and real estate you find in North East Texas is just as unique and diverse as its people and opportunities. In North East Texas you canâ€™t escape the foliage & the natural beauty! Rolling hills, forests, lakes, rivers and lots of beautiful trees, wildlife and mild winters make North East Texas an outdoorsmanâ€™s paradise. In North East Texas youâ€™ll find quaint townships, beautiful farms & ranches, lovely lakes and lake communities. Come explore the burgeoning mid-size cities of Tyler, Canton, Longview & Mineola, and lovely suburbs and neighborhoods of the surrounding area. The wonderful close-knit communities have citizens that ban together and take care of each other. We have great locally controlled ISDâ€™s and a low crime rate. DIVERSE ATTRACTIONS & AFFORDABLE REAL ESTATE OF NORTH EAST TEXAS We have it all in North East Texas! That includes first class medical research facilities & hospitals, a major university and several colleges, top rated public education, strong technology & oil/gas industry, cultural arts & facilities, a music scene that has catapulted many to international fame plus a new & exploding first class wine industry with several quaint wineries dotting the North East Texas landscape. Recreation includes all types of lake activities, hiking, hunting, The best part of North East Texas is the quality of life you will experience here at affordable real estate prices! Compare the national average price of real estate to the average price of North East Texas real estate you will be amazed at the value North East Texas offers. 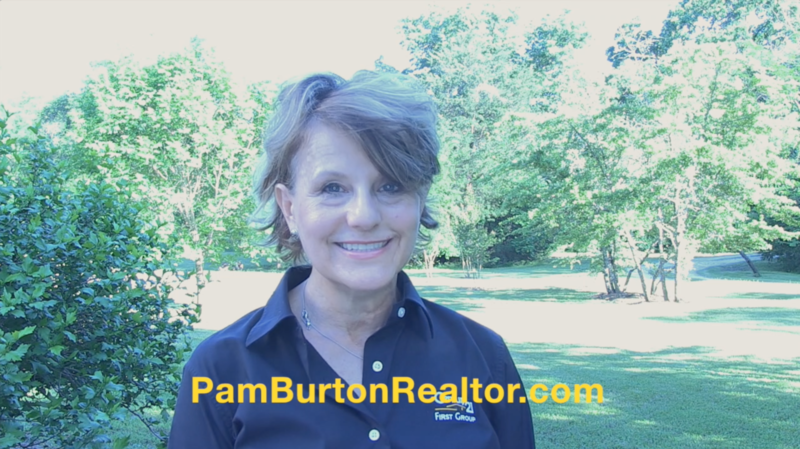 PAM BURTON REALTOR IN NORTH EAST TEXS I have lived and sold real estate in North East Texas since 2007 and have grown to love this last frontier of Texas more every year. Real estate is my life and I have listed and sold properties in the following North East Texas counties: Smith, Van Zandt, Wood, Henderson, Cherokee, Kaufmann, Upshur & Gregg. I have years of experience and am the expert on the North East Texas Real Estate market. I specialize in residential, resort, and farm & ranch. Whether you are looking for a nice suburban home, an out of the way lake front â€œget-awayâ€, a large ranch or mini â€œranchetteâ€ or land to build on, Iâ€™ll stick with you until I find the perfect property for you If you have a property to list in North East Texas then you wonâ€™t be disappointed in the service and attention youâ€™ll get when you hire me! I even have a long list of testimonials from satisfied customers that I will gladly share with you. The â€œArt of the Dealâ€ is very real in a real estate transaction as there is a lot of nuance and unseen detail work that is best left to an experienced real estate professional. I love sharing my expertise and knowledge of North East Texas real estate and have helped several clients both locally and from out of the area in buying and/or listing real estate. I love being a realtor for Century 21 First Group and the benefits of being associated with a national franchise are second to none. I have all the resources needed for a smooth transaction. This includes international exposure and advertising for listings and full brokerage support for issues related to buyers or sellers.